Metrolink Burton Road stop 2 minutes walk. 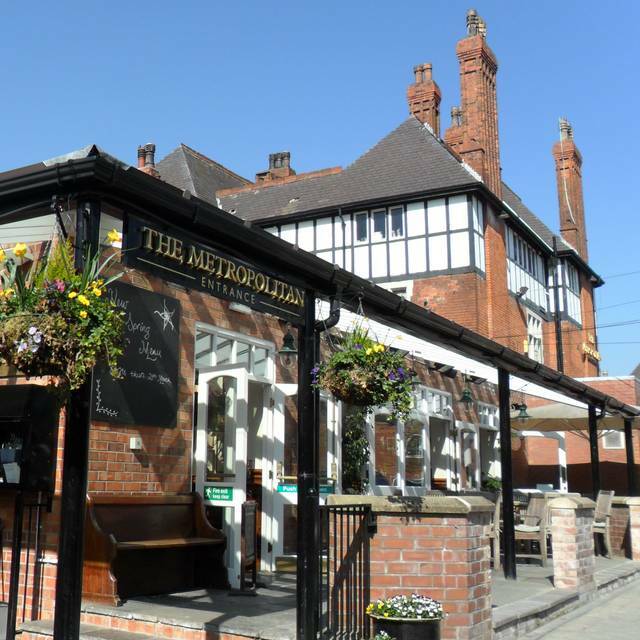 The Metropolitan was formerly a grand Victorian railway hotel and is now enjoying a new life as a fabulous bar and restaurant. Full of style and character, its success is built on quality products served by friendly and professional staff. 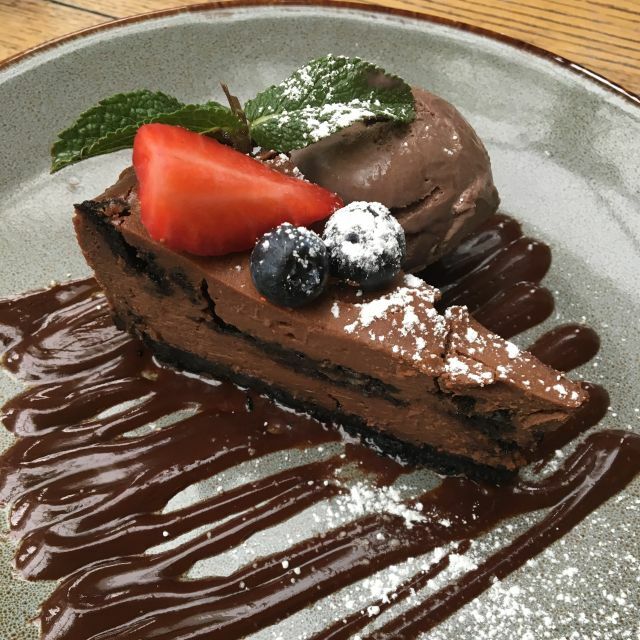 Enjoy food that's freshly prepared and locally sourced in the airy Conservatory Restaurant. 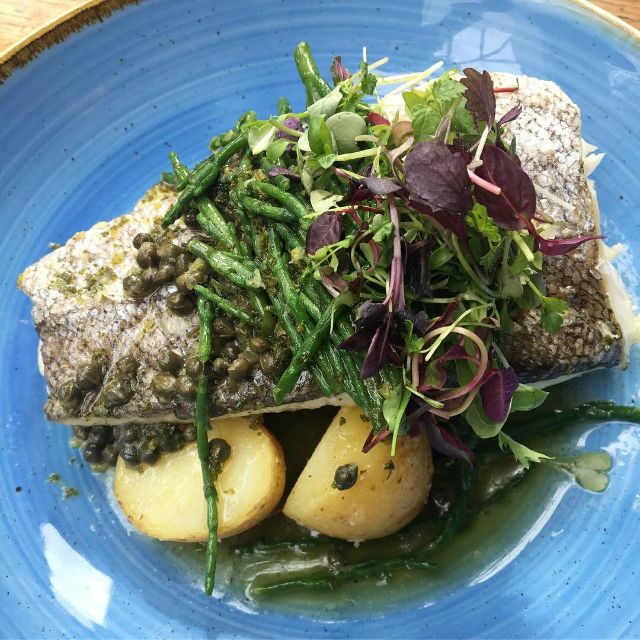 Our lunch menu suits those with a light appetite and limited time as well as those choosing a more leisurely pace and a hearty meal.Evenings in the restaurant are perfect for celebrating special occasions or just a catch up with friends. 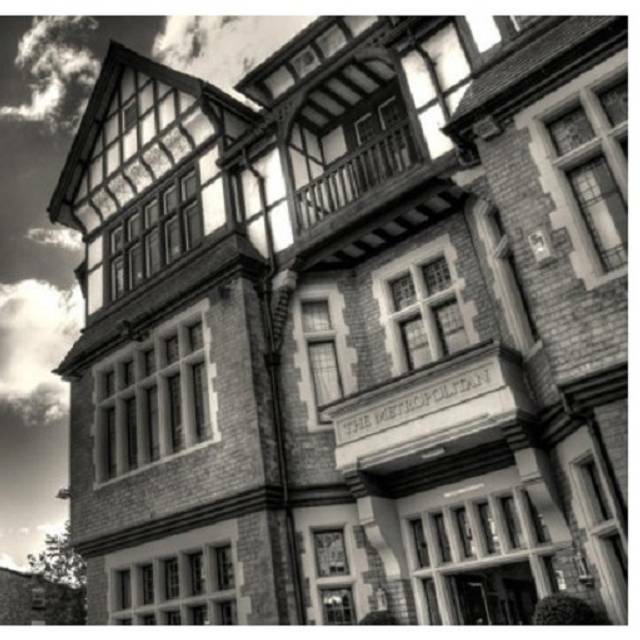 We serve breakfast and Afternoon Teas in the cosy atmosphere of the Library with its real wood fires and books. 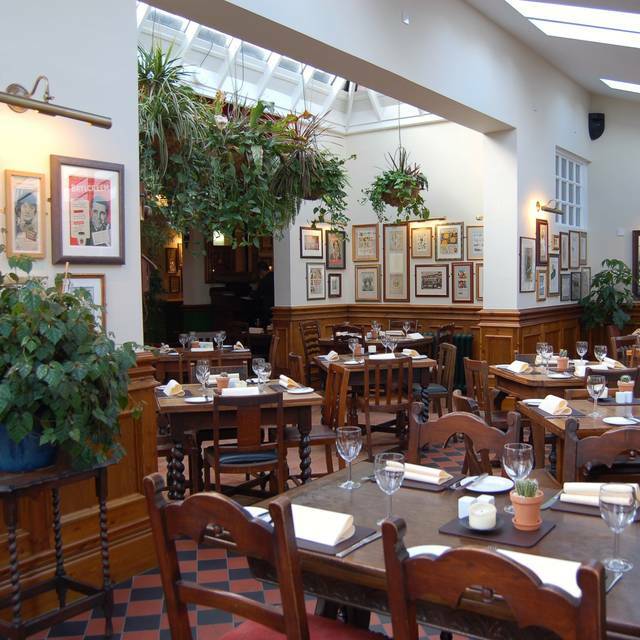 Traditional Sunday Lunch is a fantastic family experience with a lively atmosphere . To accompany your meal the bar has an exciting range of spirits, some great local cask ales and exceptional wines including a large selection by the glass. Barista coffees and whole leaf teas finish your meal in style. We ate on a Monday night and the pub had quite a lot of diners and a nice atmosphere. The staff were friendly and the food tasty. Especially liked the lamb starter and the Orchard pizza. Liked that the staff advised us before choosing our meals that if we mixed main dishes from the bar and pizza menus they may arrive at different times. We’re not too fussy about that kind of thing, but if you are it’s good to know first. As it was my pizza came within a couple of minutes of the other mains. Definitely a good bet for a pub meal in the area. 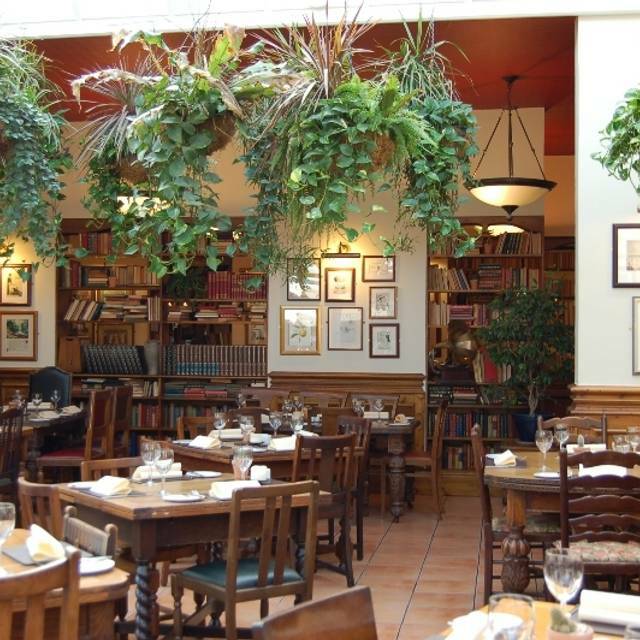 It’s was very good food and the service we received was outstanding. The service was great, very speedy and attentive but didn't feel as though we were being rushed. we were well looked after. Great atmosphere in pub, but restaurant is far more chilled. Plenty of helpful staff on hand. Excellent pub. Great food. Busy but big enough to handle it. Great meal and very good choice. Staff helpful and obilging. 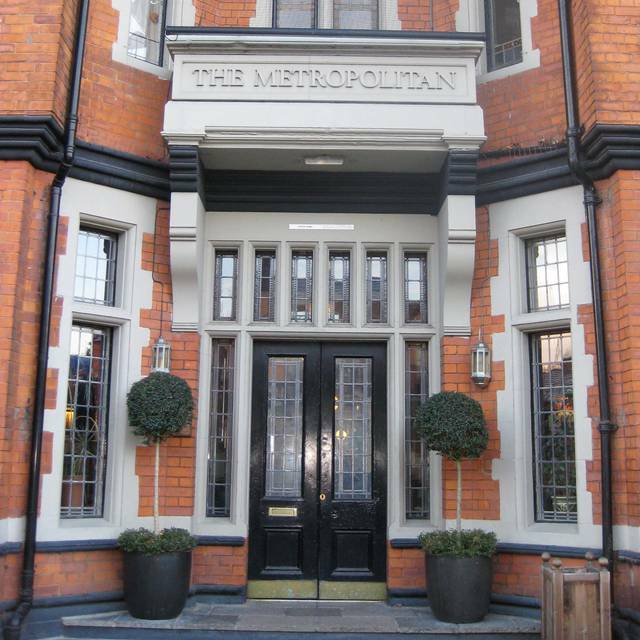 Been to Metropol on various occasions and always enjoyed it easy place to recommend . Really lovely Mothers day meal the service was amazing. I wasnt happy with my main meal initially but it was resolved very swiftly and with grace. Lovely meal which was an early Mother’s Day occasion for both the wife & mothering law with the rest of the family, and what better place. Nice food, staff and service, with a great atmosphere! Pleasant ambience for an early meal. Fairly quiet in the verandah but none the worse for that. Lovely Sunday roast HUGE portion. Staff attentive. Nice food, liked the atmosphere. The servers were friendly and very efficent, even though some of the party asked for off menu items. Oddly massive yorkshire puds, which I am sure are popular, but I would have preferred my lamb without it. Not enough gravy but happily provided on request. overall very good. Great food, friendly staff and full tummy’s. :-) What more can you ask for? There was 6 of us and we all enjoyed the food and service. EXCELLENT !! Excellent service, very busy and quite noisy however we all had the roast dinners which were exceptional. Felt that the dessert choice could have been better. Our visit at The Metropolitan was amazing. The good was good and the service was very friendly. Even though we were late our reserved table we still available. We would come back any time. It was a bit cold in the conservatory. Waitress and other staff lovely. The atmosphere was lovely and relaxing helped by nice sunny view over the light plant-filled conservatory and the attentive but unrushed service. We all ordered roast. One beef one pork and one poussin. All were delicious and with lashings of veg. So good we were all tempted into having pudding at the discounted rate which was good value and all three were again excellent. 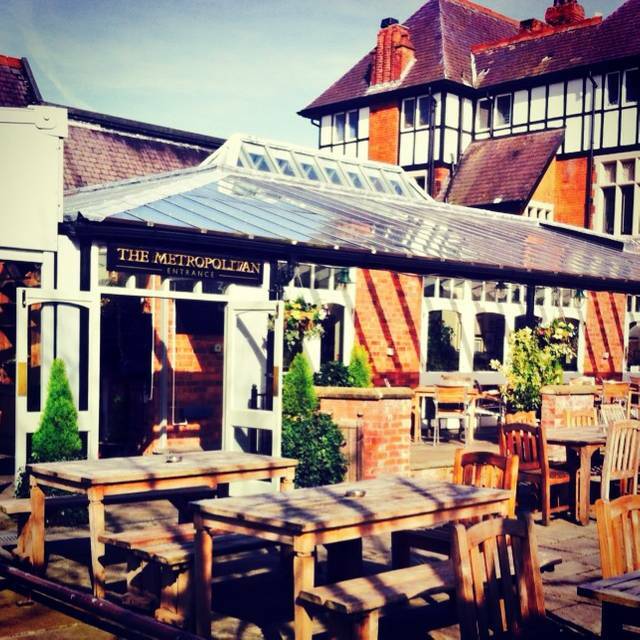 Dining at The Metropolitan is always a treat, especially in late afternoon when it is relatively quiet. The menu is excellent and well-balanced, and the food is always well presented and very tasty. Prices are good too. 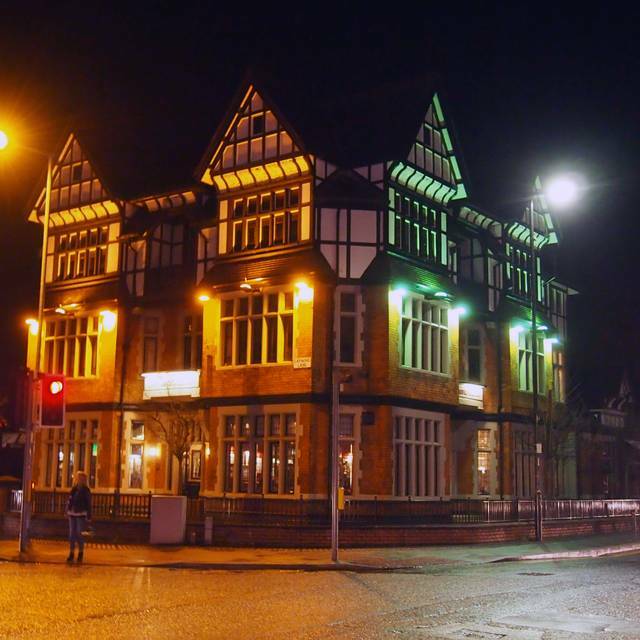 The staff are attentive and pleasant, and the restaurant has a friendly, cosy ambience that is very welcome. We dine here on a regular basis and have never been disappointed. Good service. Lovely friendly staff. Range of choices, particularly for vegans. Reasonable value. Definitely will return. This pub never lets me down- I have been going here whenever I’m in the area for the last 17 years. Food service and ambiance all wonderful. My friend and I both opted for the roast- I had beef and she had the trio and we were suitably stuffed afterwards! The service wasn’t great. The host seemed annoyed that we had brought children along even though it was on the reservation notes. The food was ok but nothing to write home about. It was pleasant but I won’t be travelling all the way from London to go again. Food was great as usual but dinner was ruined by a very loud table of 25 in the restaurant. We asked to move but couldn’t be accomdated. I been going regularly for near 20 years. The Famous Met Burger was always a safe favourite. This time for all 4 of us that ordered the burgers were overcooked to burnt and the chips were barely cooked. Very very disappointed, especially as it was a Christmas gathering. They weren't busy either, no excuses. Great Sunday lunch. Not all meals were equal in quality. One meal was missing 3 vegetables - no roast carrots, sprouts or red cabbage. Impossible to get the attention of the staff as they were really busy and the food was getting cold so we all donated some of our vegetables. Otherwise a good quality lunch. Not as good as previous visits. Bar service a bit slapdash and beer/soft drinks over-priced. Low key, unobtrusive service in the restaurant appreciated. Nibbles and main meals were of a good standard, but the cheese board was very disappointing. The so-called Golden Brie wasn't and seemed to have come straight from the fridge making it tasteless. The Lancashire also lacked flavour though the Harrogate Blue was fine. The 'trendy biscuits added nothing and as for the chutney - the curry note was not appreciated and the tiny glass of apple juice was an affectation too far! Leave the cheese out of the fridge, be more conventional with the biscuits. How about a good sting English Cheddar with one of the many good British chutneys that are suitable for cheese. By no means a disaster, but could do better! Eating in the dining room is always a good experience even on a Friday or Saturday night when the rest of the pub is rather raucous. A lovely setting where you can get lost in conversation with your friends or partners. Service brilliant and courteous and food is exquisite. A nice wine selection to choose from as well.